]well my Buddy Klepto was not impressed by ThunderHogge II for the F-35??? but he LOVED "ALIEN BIRD! for the Raptor, which he was flying that day! Anyway, she's a streamlined as a little "porker", a little heftier than the Warthog, so take Warthog and Lightning II, and you come up with ThunderHogge II! That's a total of 521 aircraft already built and flying around the world. 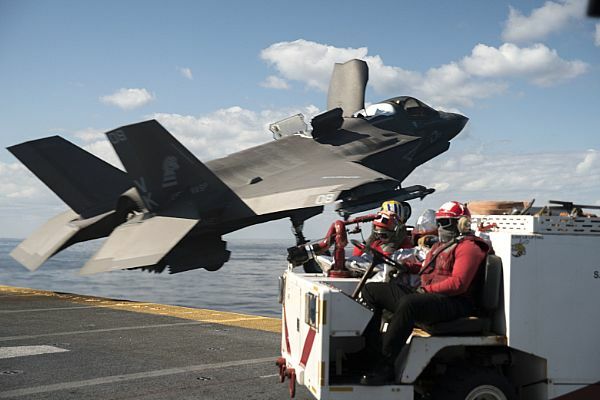 When you consider that the F-35B is now being bought in several countries to equip VTSTOL carriers in the UK, Italy, Turkey, Korea, Japan, and now Australia too and potentially ultimately in Spain...it has to make other nations who do not have a 5th generation capability on their carriers (France, Russia, INdia, China, etc) nervous. I expect India will make a play for getting F-35Bs for their carriers. Such an aircraft even if only 12, but likely in numbers of 18-50 for some of these nations (the UK for example on the high end, Korea, Japan and Turkey on the lower end) poses a very real threat for stealthy strikes at sea. bd popeye, TerraN_EmpirE and Air Force Brat like this. Love it BABY, wait till "DOJO" starts slammin and jammin that A MODEL this summer,,, that's gonna be a bunch of howling!, straight up Baby! and PULL over the top!! Actually the Tactical Break a 9Gs is gonna be something to see, look at that "break-out" at RIAT, makes me black-out just watching it! Good to see you aboard ship today dreaded Pirate Jeff Head! bd popeye and Jeff Head like this. Can you believe it over 500 F-35s alreay fling. And over 300 of them ar US aircraft. Can't wait to see the LHDs and LHAs with their full squadrons...and especially seeing the nuclear carriers getting their squadrons. Two squadrons of ten aircraft ech for each carrier. That is going to be powerful stuff. We already have enough Naval aircraft to fill out two carriers...but we have to train, and test, and perform logisticas, etc. So it will be a while yet. But its coming together despite all of the naysaying. We already have 3X the number of F-22s in F-35s. well somebody already did that at Paris and RIAT, but he will add the "Amen" to that. Here's a video I made of all three of the F-35s I have in 1/72 scale. I have all three and showed them off in this video and the description that I put with it. bd popeye and Air Force Brat like this. Lockheed Martin chief executive Marillyn Hewson said she was assured by Department of Defense officials that any order of Boeing F-15 aircraft will not come at the expense of future Lockheed Martin F-35 Lightning II purchases. Hewson was responding on a 29 January earnings call to rumours that the US Air Force might buy F-15 fighters to fill a hole in its future inventory caused by delayed F-35 deliveries. Hewson adds that F-35 orders for the USA and international customers ought to remain steady in the coming years, and could possibly expand. In November, Lockheed Martin won a $22.7 billion contract for Lots 12, 13 and 14 to supply 255 F-35 Lightning II stealth fighters for the three branches of the US armed services and international operators. The company says that order was not complete and it expects it to grow further to a total of 478 aircraft once finalised. “Our F-35 backlog has grown to over 400 planes – a level which exceeds the total number of F-35 deliveries we have made to date,” says Hewson. Ultimately, it is hoping for a large-quantity, multiyear agreement around 2022, said Bruce Tanner, chief financial officer of Lockheed Martin. Its facilities have the capacity to accommodate production of up to 180 F-35 aircraft per year. The F-35 is also starting to generate supplemental upgrade business, said Tanner. Hewson also addressed the impact of the recent 35-day partial US government shutdown. "The previous closure of these agencies did not have significant impact on this year's financial metrics, as the vast majority of our business is currently funded through the DoD's FY19 appropriations bill," she says. "Should a budget impasse reoccur after the three week continuing resolution expires, it is possible we could see some delays in 2019 awards and orders." Lockheed Martin’s net sales in 2018 were $53.8 billion, a 7.6% increase from the year before. Net earnings from operations in 2018 were $5 billion, a 157% increase from the year prior when the company took a nearly $2 billion one-time charge related to the impact of the Tax Act. The company projects net 2019 sales to be between $55.8 billion $57.3 billion, while operating profit in 2019 is forecast to be $6 billion to $6.2 billion. The company’s aeronautics division, which produces the F-35 and F-16, had net sales in 2018 of $21.2 billion, rising 9.4% from the year prior. The increase was primarily because of larger production volume and sustainment work for the F-35, says Lockheed Martin. LOL anyone following this circus? The crash and Salvage crew is in the correct position. As long as they are behind the foul line they are in position. The camera angle makes them look closer than they are. Jura, TerraN_EmpirE and Air Force Brat like this. Germany’s Ministry of Defence has officially ruled out the F-35 joint strike fighter as a choice to replace its aging Tornado fleet, Defense News has learned. An official from the ministry confirmed that the F-35 is not a finalist in the competition, which seeks a replacement for the 90-jet fleet. The news was first reported by German site AugenGeradeaus. The move is not altogether surprising. Berlin for some time has officially favored an upgraded version of the fourth-generation Eurofighter Typhoon, built by a consortium of Airbus, Leonardo and BAE Systems, as the Tornado replacement. The main argument is to keep European companies involved in building combat aircraft and, perhaps even more importantly, staying clear of disturbing Franco-German momentum in armaments cooperation. However, the decision leaves open the question of certification for nuclear weapons. The Typhoon is not certified to carry the American-made nuclear bombs that Germany, as part of its strategic posture, is supposed to be able to carry on its jets. 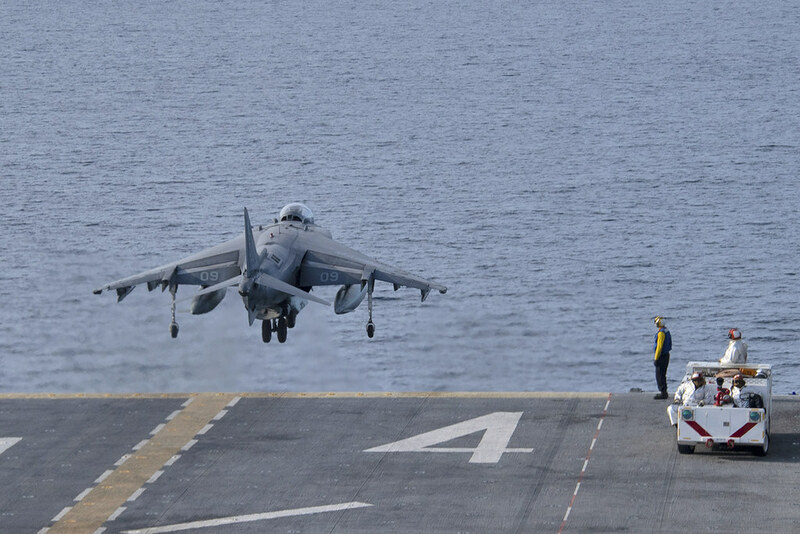 Competing against the Typhoon is Boeing’s F/A-18E/F Super Hornet. Before the German MoD confirmed that the F-35 was officially out of the running, Reuters on Thursday reported that the ministry was considering splitting the buy between the Typhoon and either the F-35 or Super Hornet. Ordering both the Typhoon and an American aircraft would make it easier to continue carrying out the NATO nuclear mission, while also lending support to the European industrial base. However, it could complicate logistics, adding more expense and forcing the German air force to maintain two supply chains. It is worth noting that despite complaints about the cost of keeping the ageing Tornados flying, keeping around a certain number of them always has been considered a painful, but not impossible, proposition among some defense experts. That is especially the case for the nuclear mission. “There does not have to be a nuclear Tornado replacement,” Karl-Heinz Kamp, president of the Federal Academy for Security Policy, a government think tank, told Defense News last August. He noted that any German government is acutely averse to the publicity surrounding Berlin’s would-be atomic bombers. “That’s why they will keep flying the Tornados, despite the price tag and despite having asked about a Eurofighter nuclear certification in Washington,” Kamp predicted at the time. German defense officials on Thursday evening stressed that no decisions had been made besides reducing the playing field to the FA-18 and the Eurofighter Typhoon. The Defense Ministry will request additional information from the respective manufacturers, Boeing and Airbus, on the issues of operations, economic viability and timing, these officials said. Germany’s decision appears to have come at the surprise of F-35 manufacturer Lockheed Martin, which was not told by the ministry of the imminent announcement.